100 North Tampa, formerly known as the Regions Building and the AmSouth Building, is a skyscraper in Tampa, Florida, USA. Rising to a height of 579 feet (176 m) and 42 floors in Downtown Tampa, the structure currently stands as the tallest building in Tampa and the ninth-tallest building in Florida. 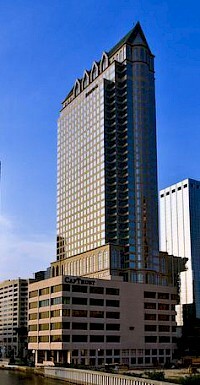 100 North Tampa was designed by the HKS, Inc. architectural firm, headquartered in Dallas, Texas. The Bank of America Plaza is a skyscraper located in the SoNo district of Atlanta, Georgia. Standing 1,023 ft (311.8 m), it ranks as the 36th tallest building in the world. 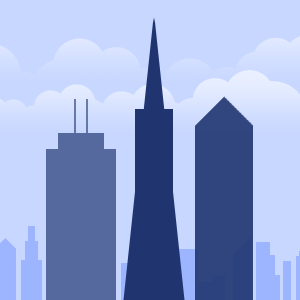 When it first opened, it was the 9th tallest building in the world, and 6th tallest building in the USA. 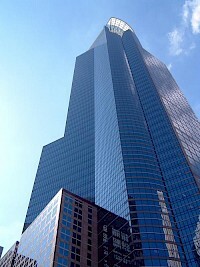 It is also the tallest building in the Western Hemisphere outside of Chicago and New York City, Georgia's tallest building, and the tallest building in any U.S. state capital. Chicago Title & Trust Center is an office tower located in Chicago designed by the firm Kohn Pedersen Fox Associates. The 50 story building rises 756 feet (230 m) in the Loop and was completed in 1992, on the site of Chicago's Greyhound Bus Station. One of the tower's most notable features is its eastern-facing slanted roof at upper levels. At night, the top of the building facing east and west is flooded with light, creating a memorable presence on the Chicago skyline. 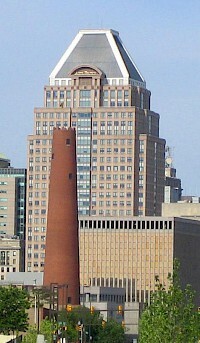 Commerce Place is a high-rise in Baltimore, Maryland. The building rises 31 floors and 454 feet (138 m) in height, and stands as the fourth-tallest building in the city. The structure was completed in 1992. 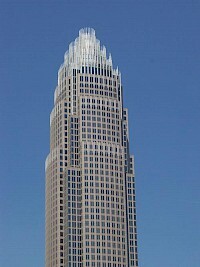 Commerce Place was designed by architect G.C. Pontius of RTKL Associates, a Baltimore-based architectural and engineering firm; the structure is an example of Postmodern architecture. 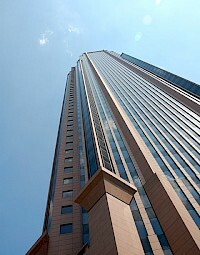 23 of the building's 31 floors are used for commercial offices, while six are used for parking. The Heller International Building is a skyscraper in Chicago, Illinois. The building rises 600 feet (183 m) in Chicago's Near West Side neighborhood. 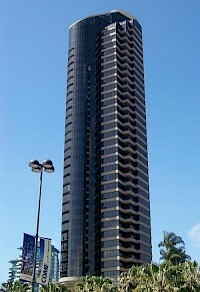 It contains 45 floors, and was completed in 1992. 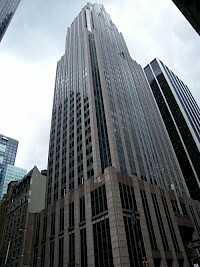 The Heller International Building currently stands as the 35th-tallest building in the city. The architectural firm who designed the building was Skidmore, Owings & Merrill, the same firm who designed Chicago's Sears Tower and John Hancock Center and the Burj Khalifa in Dubai.